Thanks god its warm now and we can dress the way we want. I'd like you to have a look at this pretty collection of plus size women's boho chic festival style looks what are great for wearing in your everyday lives. Boho and hippie looks are mostly worn in summer time, but you can sport this style during fall and spring months. You don't have to worry, if your look matches the current season. 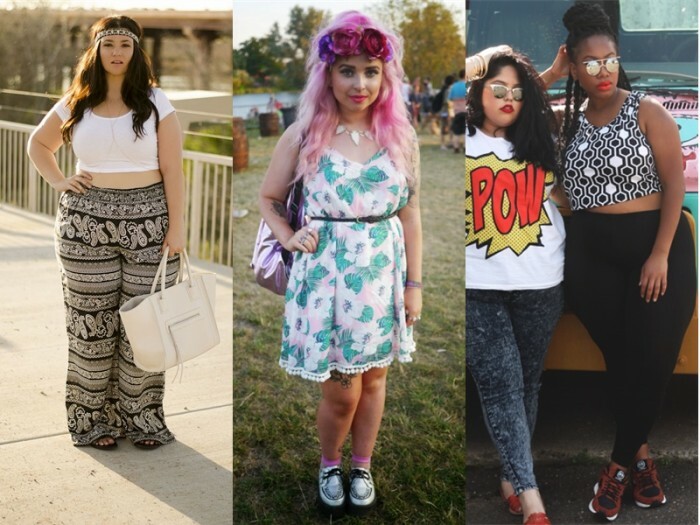 I have gathered funky and chic festival fashion picks, what are ideal for curvy and fat ladies. This is a practical guide on how to wear festival looks without looking weird and untrendy. Let us begin? Scroll down and see everything by yourself. It's the perfect time of year to get covered in blossom-y cheerful floral prints. Today I am going to share with you an awesome collection of women's plus size floral fashion trends to wear this 2018 year. You are going to see pretty pop colors feminine looks in beautiful prints. Some curvy women are afraid of trying something new, as they worry to look big. But, thanks to the latest collections from various fashion brands we can now forget about those worries and try on something fresh and blossoming. The trick of wearing florals is the following... there is no trick at all, ladies! 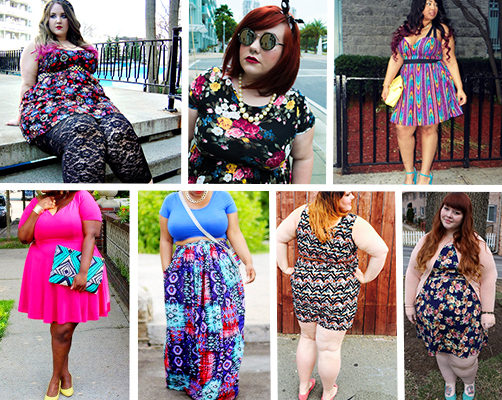 All body shaped women can wear different prints regardless of their sizes. Don't be shy and try on a beautiful outfit filled in sweet prints. You can go for floral cocktail dress, maxi gown, leggings, skirts, tops, pants, etc. You can even try on some flowery accessories on. In other words, there are plenty of opportunities to add flower power into your summery wardrobe. Hope these ideas will inspire you to buy yourself something new and chic.